The biggest tournament of the beautiful game is upon us and, as the most watched sporting event on the planet, the world waits with bated breath…well, 3.2 billion of us anyway. 8 of the remarkable countries that Wendy Wu Tours visits might be taking to the pitch over the coming weeks but we’ve decided to pit them against each other on the things that really count: culture, food and top sights. Let’s face it, they are all going to be winners but indulge us, and try to appreciate the odd football pun dotted throughout; sorry about that. Japan has competed in 5 previous World Cups, proceeded into the Round of 16 twice and scored 14 goals in total. Japan co-hosted the 2002 tournament with South Korea. Japan’s culture is a unique blend of Buddhist and Shinto philosophies and a huge appetite for a popular culture that is known around the world. Nowhere else in the world can you easily hop from an age-old temple to a neon billboard-lit street and from a tea ceremony to a robot café in a single day! You’ve got the picture-perfect Mt Fuji, Kinkaku-ji (Golden Temple) in Kyoto, the neon-bright lights of Tokyo and the hot spring bathing snow monkeys of Yudanaka – Japan has so much variety to keep you entertained! South Korea has competed in 9 previous World Cups and came in 4th place in the Korea/Japan 2002 tournament. In those appearances, they scored 31 goals in total, and co-hosted the 2002 World Cup with Japan. 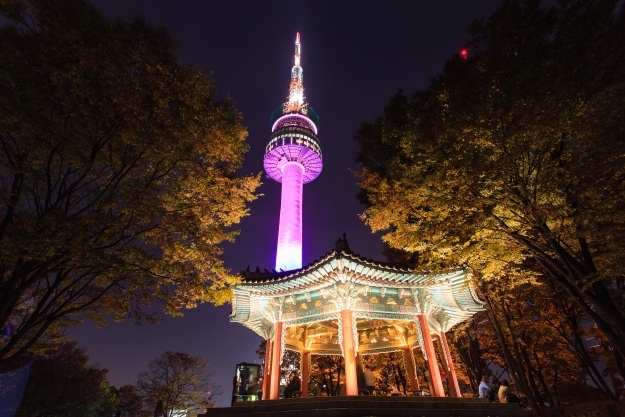 Thoroughly modern but rooted in the ancient philosophy of Confucianism, South Korea has a rich, distinctive and vibrant culture. Age-old principles tackle how to conduct yourself and respecting your elders are still a central part of life, but it’s all conducted in neon-lit metropolises to the sound of K-pop! Until the rise of kimchi, South Korean food was undeservedly considered a generic Asian cuisine. Like most Asian cuisines, however, South Korean is about balanced, delicious foods, crafted from seasonal ingredients and presented with panache – try not to dribble over images of bibimbap and bulgogi! It’s probably fair to say that most people aren’t on the ball about what there is to see and do in South Korea, apart from Seoul of course. Busan is a laidback coastal city, whilst Gyeongju is a veritable museum of place and there are some magnificent national parks, like Mount Seorak and Mount Gaya that need to be explored. Brazil has won the World Cup 5 times, the most of any country, and have scored 221 goals over 20 appearances. It has hosted the tournament twice, most recently in 2014. Brazil is the only team that has participated in every World Cup ever held. Brazilian culture is all about living life to the max – just a few seconds of the world-famous Carnival can tell you that! Besides the Portuguese culture there is a melting pot of people who have contributed to Brazil’s heritage, Africa and Japan to name a few, producing some joyful practices and traditions that include samba and capoeira. Football is also huge part of the national identity, so much so that Brazilians call their country ‘o Pais do Futebol’ (the country of football). If there is anywhere to watch football on your South America holidays, it’s here! Like its culture, Brazilian food is a delicious mix of influences from around the world. In such a large country, techniques and ingredients very significantly from region to region, and there are plenty of native foodstuffs you may never have come across, like manioc. 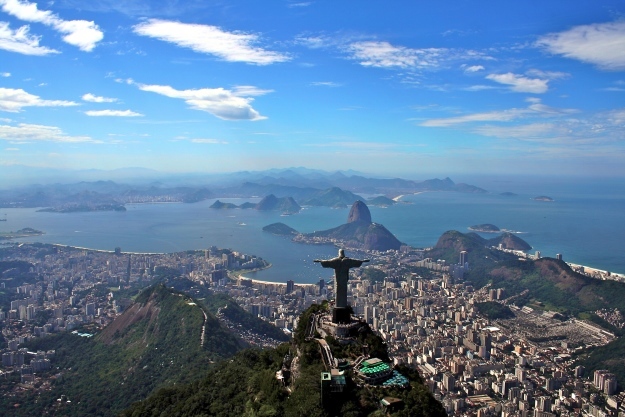 Rio de Janeiro, the Amazon jungle – Brazil has some big hitters on its top sights list. 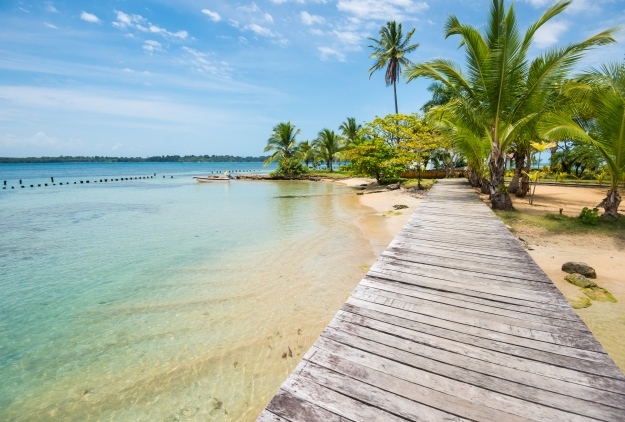 You can also try Salvador de Bahia for an alternative look at Brazilian urban life, and for incredible beaches, test out the sands of Buzios and Paraty. Colombia has appeared in 5 World Cups, reaching the quarter finals is 2014 and scoring a total of 26 goals. Colombia is yet to host the tournament. There’s no half-time measures with Colombian culture – it’s big, brash and colourful in all the right ways! With music, art and dance at its heart, the blending of Spanish and native traditions, and later African ones, have made a culture you’ll be hard pressed not to revel in. A blending of indigenous, Hispanic, African, Arab and Asian influences have made one hell of a melting pot of tasty food! Although dishes vary from region to region, seafood and exotic plants make regular appearance across the pitch. 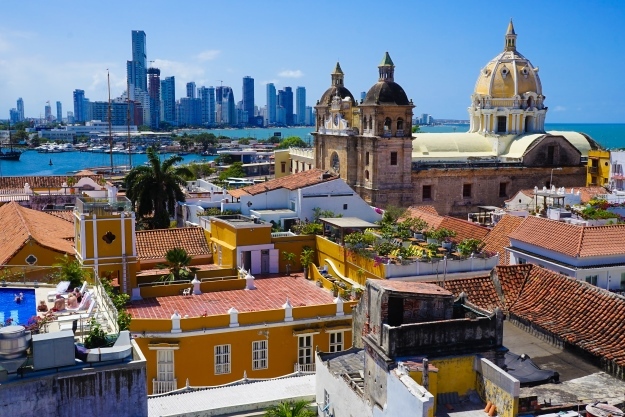 It’s hard to resist the charms of the old town of Cartagena on Colombia’s Caribbean coast, whilst the nearby Tayrona National Park covers your beautiful beaches and lush rainforest fix. For those after a buzz, the coffee triangle has plantations and lovely landscapes to explore and Bogota, the capital, is one super hip city. Peru has appeared in the World Cup 4 times and has scored 19 goals during its campaigns. In the 1970 tournament in Mexico, it reached 7th place. Peru has not hosted the World Cup. Peru’s culture is a rich blend of indigenous and Hispanic traditions. 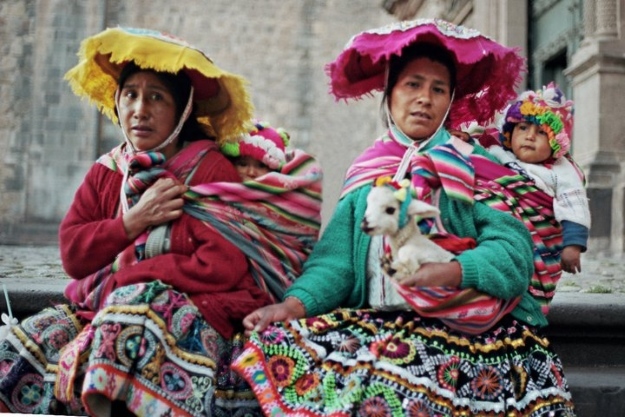 The Aymara and Quechua people, descendants of the Incas, have successful preserved their heritage and their languages; you’ll spot them on the streets of Cusco and in the Sacred Valley wearing their striker-ing colourful, traditional garb. A cuisine that’s enjoyed a revival in the past decade, there is nothing foul about Peruvian food – in fact, it does fusion to perfection. With the indigenous people bringing corn, potatoes and chilli peppers and the Europeans bringing rice, wheat and beef, how could you have anything but deliciousness. Machu Picchu is hands down at the top of the hotlist of Peru’s sights, and who are we to resist a mountain top citadel? There’s also Lake Titicaca, the magnificent city of Arequipa, the mysterious Nazca Lines and capital city Lima, South America’s top foodie destination. Argentina has appeared in 16 World Cups, has won twice in 1978 and 1986, and been runner-up three times. They’ve scored 131 goals in total and hosted the tournament once in 1978. Argentina’s culture is rooted in that of Europe, Spain and Italy particularly, but it’s certainly got that Latin American twist! The Argentinians are a wonderfully friendly and passionate people; this passion being particularly evident when it comes to the Tango, and football of course. Steak, red wine…is there anything else to say? Actually, there is! There is a strong Italian influence in Argentinian food, so you’ll never be short of pizza, pasta and gelato when travelling here, and desserts featuring dulce de leche should not be missed either. If you did happen to watch Argentina playing football over the next month, there’s no better excuse for a glass of delicious Malbec. As wonderful a city as Buenos Aires is, there is so much more to Argentina. 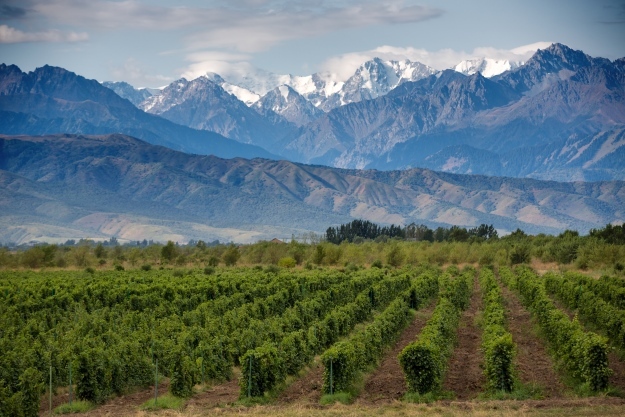 From the otherworldly landscapes around Salta in the north, to the stark beauty of Patagonia in the south, you’ve got a lake district, winelands and pampas in the midfield too! Costa Rica has appeared in 4 World Cups and scored 17 goals during its campaigns, and reached the quarter finals in 2014. Costa Rica has not hosted the World Cup. Costa Ricans have a mantra – ‘pura vida’, meaning simple or pure life, and it’s made for a very content place; Costa Rica is one of the happiest countries in the world! Laidback and friendly, appreciative of their beautiful home, the Costa Ricans have welcomed and incorporated customs from around the world into their culture, making it a relaxed and cosmopolitan land. Full of fresh fruit, veggies, black beans and rice there’s no hitting the crossbar with Costa Rica’s fresh, mild cuisine. Look out for Caribbean flavours like coconut milk and plantain alongside Spanish and Aztec influence in dishes like tamales. 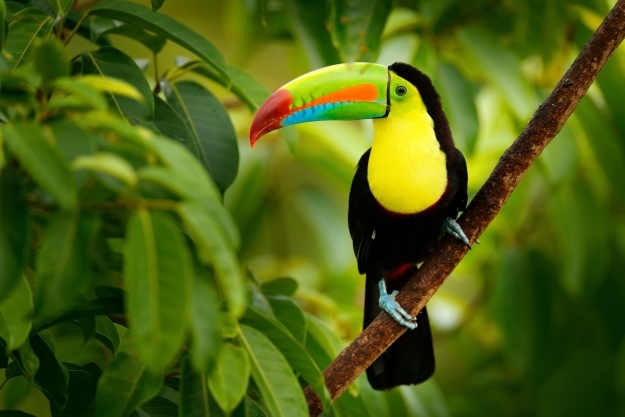 Costa Rica’s top sights are, unsurprisingly, all natural in nature! If a sloth could be the top sight we’d probably go for that, but exploring wildlife-packed cloud forest and spotting volcanoes are thing that will never get old, whilst those whose goal it is to utterly relax should check out the beautiful beaches; both coastlines have fantastic ones. 2018 is the first time that Panama has qualified for the World Cup! As the meeting point between North and South America, Panama has long been a crossroads of culture. This fact is shown most clearly in it rich folklore, a tapestry of stories, dances and festivals that prevail from Spain, Africa, China, India and indigenous communities. Thanks to its famous canal and the world Panama City, this mixing of culture is very much still going on today. We’re talking rice and beans galore, plenty of fantastic seafood and a plethora of tropical fruits and vegetables harvested from Panama’s resplendent nature. What more could you need? Oh, maybe a toasted sandwich, an emparedados, which is a popular and tasty snack! Whilst the Panama Canal is the top pick for visitors, like its neighbour Costa Rica, Panama has a wealth of incredible nature to explore, and communities within it that still adhere to their traditional way of life. And let’s not forget those incredible beaches, who would be on the bench over them? 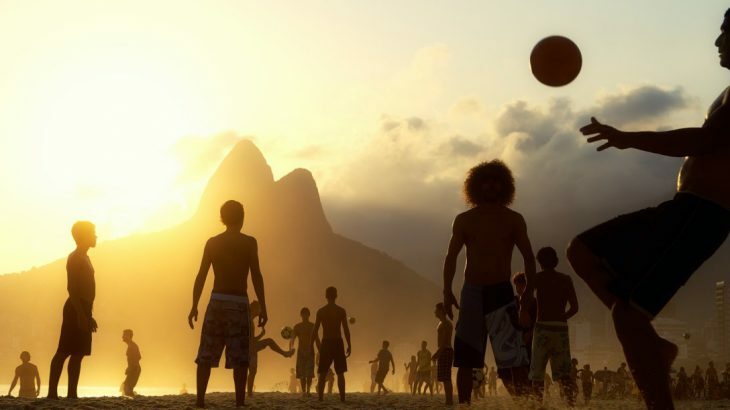 Fancy exploring one of these World Cup countries for yourself? 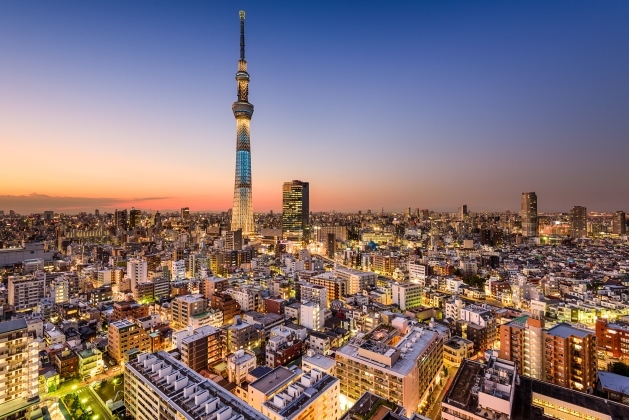 Wendy Wu Tours offers escorted tours to Japan, Brazil, Argentina, Peru, Colombia, Costa Rica and Panama, and can create bespoke tours for all of these and South Korea! Visit us our website for more information. Wow! This is an exceptional list of amazing places which should definitely be visited. I’d love to explore each one of them because your post whetted my appetite!